So what did I find for $2.25? Yes, I was out yard saling again--hubby's idea this time. 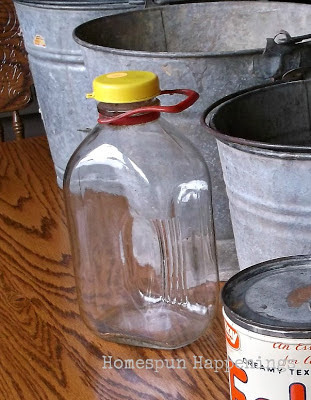 I found another milk jar for 50 cents. Now I can replace the one I broke last summer. I also bought these galvanized buckets for $1.5o for all 4. And I just couldn't pass up this shortening tin that was 25 cents. I just love the color and how crisp it looks. It has some recipes on the side of the tin. 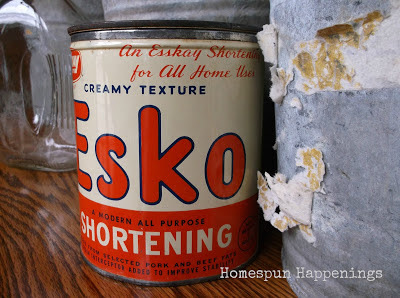 Can anyone tell me anything about Esko products or the tin? 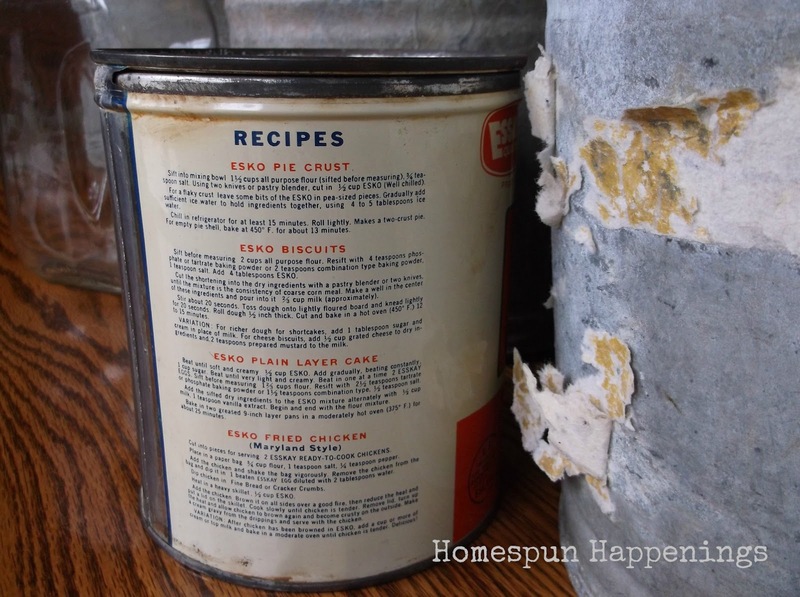 It was manufactured in Baltimore, MD by The W.M. Schluderberg-T.J.Kurdle Co.